A severe thunderstorm warning has been issued for parts of the southeast corner. VERY dangerous thunderstorms have started rolling in across a wide section of the southeast corner. 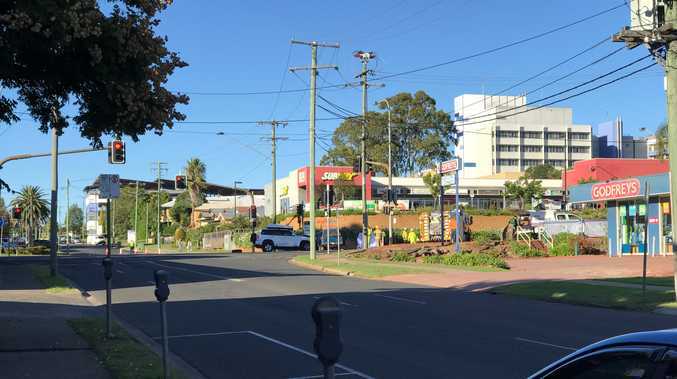 The weather bureau has put out an alert, warning residents living in the Western Downs and South Burnett regions that storms have been detected near Jimbour. 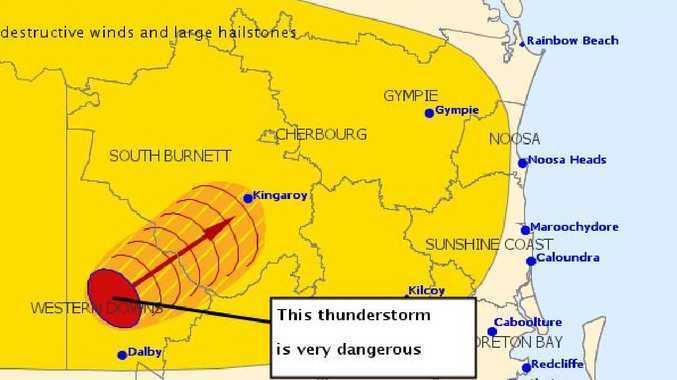 They are moving northeast and are expected to hit Bell, Bunya Mountains and the ranges north of Jandowae by 11.45am and the area south of Kingaroy, the area west of Kingaroy and the area southwest of Kingaroy by 12.15pm. Destructive winds and very large hailstones are likely. There is also a broader storm warning for the southeast. At 11.30am a storm was developing northeast of Dalby, and is likely to hit Gympie, Kingaroy, Cherbourg, Nambour and Nanango over the next few hours.